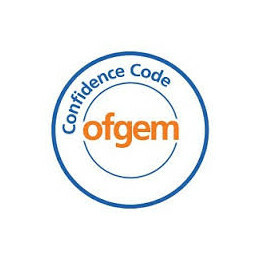 Today Ofgem has announced changes to its Confidence Code for price comparison websites. This comes after The Big Deal published research last year that showed that the Big Five price comparison sites (uSwitch, Confused, MoneySupermarket, GoCompare and Compare the Market) have all hidden the cheapest deals from users, many for weeks on end. In response to this research the House of Commons Energy Select Committee of MPs announced an investigation into these sites hiding deals and their lack of transparency over commission. "We're pleased that Ofgem have acted on the issues we raised. But comparison sites' delight at the new rules betrays the fact that not much will change. "First, the hiding of tariffs has not ended. Comparison sites will find new questions that dupe consumers into filtering out deals that don't earn them a commission. 79% of the public think that they should automatically see all deals, regardless of commission. We agree. 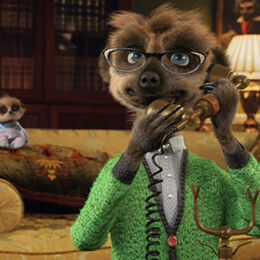 "Shockingly, two of the Big Five comparison sites - GoCompare and Compare the Market - automatically filter out the deals from suppliers that don't pay them. Crucially, these sites are not even under the Confidence Code, so that highly dishonest practice is likely to continue. "Second, it is not enough for comparison sites simply to disclose that they charge a commission. Commissions are a cost that end up on our bills, so the public has a right to know how much these sites charge. If comparison sites publish their commission levels, they will be forced to compete on cost. This competition would benefit literally every consumer in Britain." Ofgem's changes do not force sites to automatically default to showing all tariffs. Instead they are still allowed to ask users a question which then filters out deals they don't make money from. New Big Deal research shows that uSwitch - the biggest energy switching site - have hidden the cheapest deal for the last 6 months. 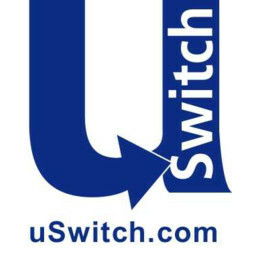 Moreover in recent weeks uSwitch have been regularly hiding four out of the top five cheapest deals. For example, on 5th January this cost the average consumer between £17 and £18. Ofgem's changes don't even go as far as some sites have voluntarily gone themselves. In the wake of The Big Deal research two of the Big Five (MoneySupermarket and Confused) stopped hiding deals by automatically defaulting to show all tariffs. Martin Lewis of MoneySavingExpert has himself said that the price comparison sites should default to showing all tariffs (BBC Radio 5, Mon 20th October). Polling from Populus found that 79% think energy switching sites should automatically ensure every user sees all tariffs whether the site receives a commission or not. Just 7% disagree. Big Deal's research into hiding deals shows that different levels of commission seriously affect advice from price comparison websites. Furthermore there is a direct link between intermediaries' commissions and consumers' bills. The higher their commission, the higher our prices. We need transparency on the level of the comparison sites' commissions to force comparison sites to compete. Competition should drive down costs - and commissions are a significant cost in the industry. Polling from Populus found that 74% think energy switching sites should publish in full the commission they receive. Just 5% think it is a bad idea. Ofgem have announced: "Banning a default partial view. Sites must show all tariffs available in the market unless customers actively choose to select to see a smaller number of tariffs." The two major sites that do this are Go Compare and Compare the Market. But neither of these sites are governed by the Confidence Code so they don't have to follow this advice. Although they work in partnership with Energy Helpline who are accredited. We launched in March 2014. In just ten months we have over 40,000 members and are growing strongly. 62% of our members have never or hardly ever switched before - these are the very people who have been let down by the energy market. Moreover, 60% of our members are over the age of 55 and 30% over the age of 65. Our latest collective switch saved the British public £1.5 million, with an average saving of £303 per household (higher than any other collective switch). 10% of our switchers saved over £475. The Big Deal charges a commission to energy companies. For its forthcoming switch it will be charging £12.50 per fuel - £25 for a dual fuel switcher. This compares to £80 to £100 for a dual fuel switcher that it has been reported the Big 5 price comparison sites charge.